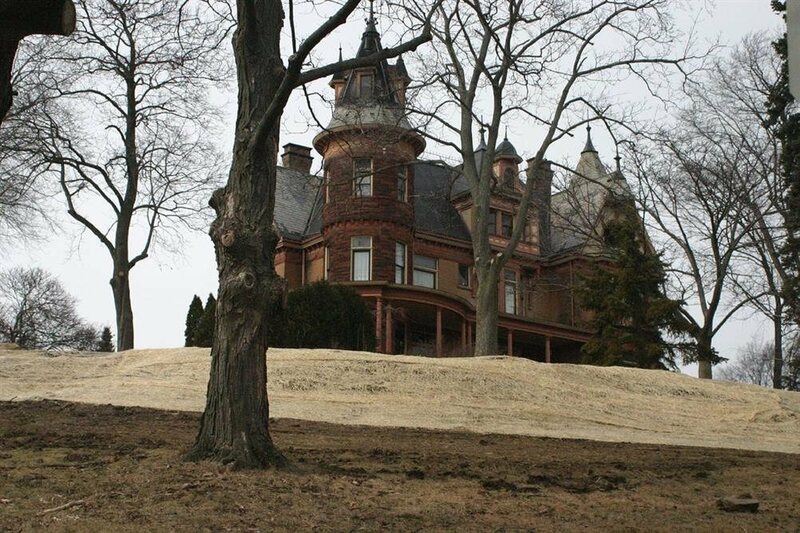 November 15, 2018 By Chelsea T.
The Great Lake State is home to a number of haunted destinations that have some seriously spooky ghost stories surrounding them. 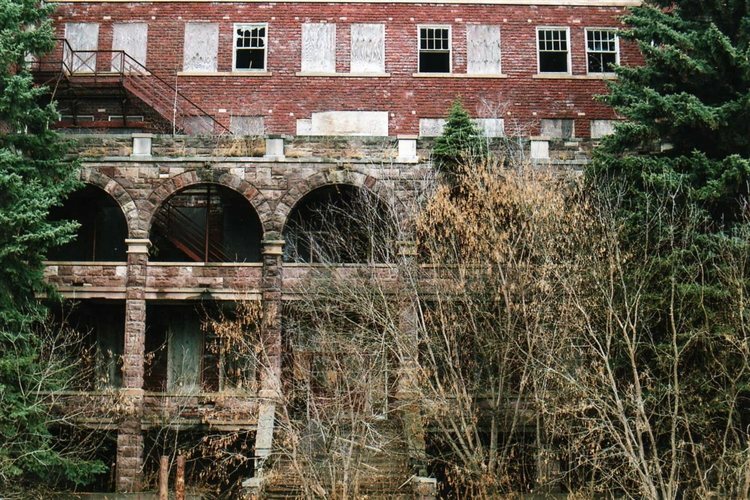 From restaurants and bars to movie theaters and old hospitals, there are a ton of places throughout Michigan that are truly haunted - and you never know, some of them could be right in your own neighborhood! Check out our Top 10 list below to read the eerie tales attached to these spooky spots! 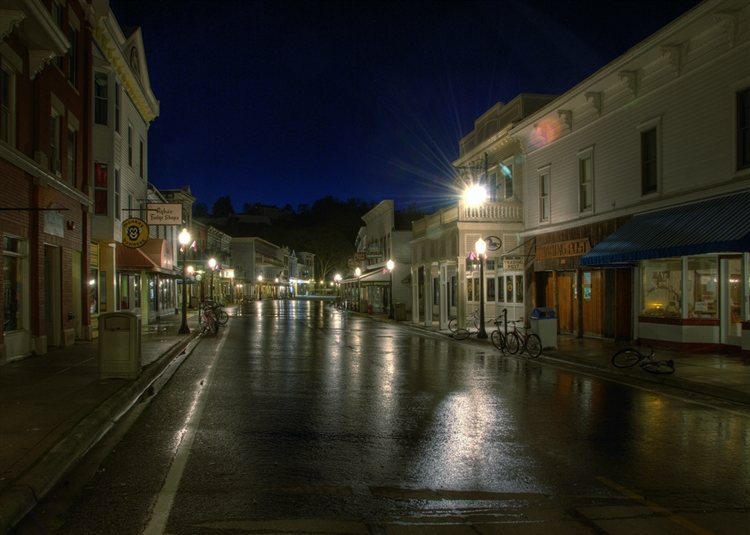 Known to be one of the most haunted places in Michigan, Mackinac Island is said to feel colder and more "off" even in during the dead of summer. There have been over 100 ghosts that have been reported here, including that over Native Americans, soldiers, students, and tourists. Complete with Victorian style buildings and the charm of a small town, Mackinac Island brings in many locals and tourists from all over the country. It's also the perfect spot for those who are intrigued by the paranormal, as there are a number of different places to stay on the Island that have some eerie stories attached to them. Some locations here that are believed to be haunted include The Grand Hotel, Fort Mackinac, The Drowning Pool, Mission Point Resort and the Bogan Lane Inn. This historic castle dates back to 1895 and now operates as a bed and breakfast. According to its website, the Queen Anne style home is considered the "Jewel of Kalamazoo" and was ranked as a top historic inn in Michigan by AAA. With 11,000 square feet, there's a ton of space for ghostly spirits to reside! It has been said that both the spirits of the original owners, Frank and Mary Henderson, linger here, along with the spirit of Clare Burleigh, a Spanish-American War veteran who served with the Henderson's son. A ghostly dog has also been reported, and the ghost of a young girl. Paranormal groups have explored the castle, and collected electronic voice phenomena. The home can be found on Monroe Street and is quite a sight to see, with or without its ghostly residents! The Paulding Light is also known as "The Dog Meadow Lights" and is simply a red light that turns white before vanishing. Many believe that the light is from a ghost lantern of a railroad worker who had been killed after he fell asleep on the job. 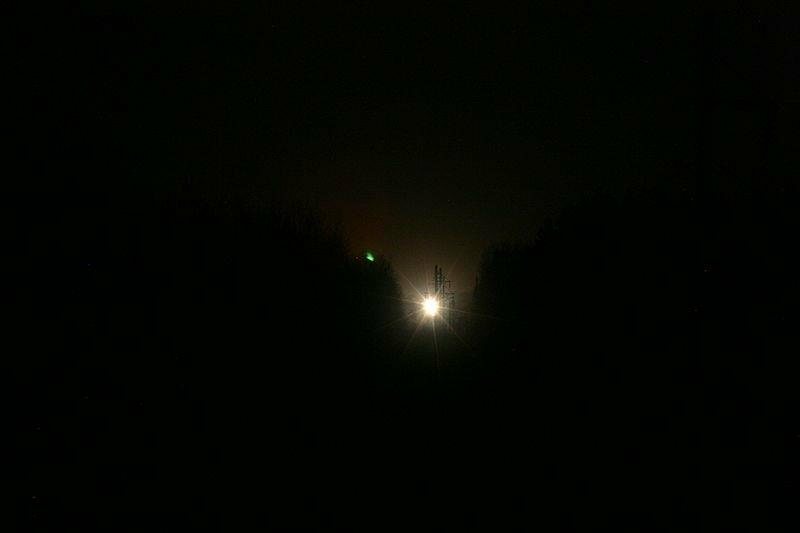 Other stories say the worker was murdered along the old railroad grade that runs parallel to the road the light appears. And a third story involves a man who was out late holding a lantern in search of his lost boy in the woods, when he was hit by a train. In the area where the light can be observed, a sign stands and lets visitors know exactly where to go to try and see the phenomenon. It states "Park along this forest road facing north, the light will appear each evening in the distance along the power line right-of-way." Reports of this light have taken place since the 1960s, and ever since, the spot has become quite the tourist attraction, bringing in both locals and visitors from all over the country. 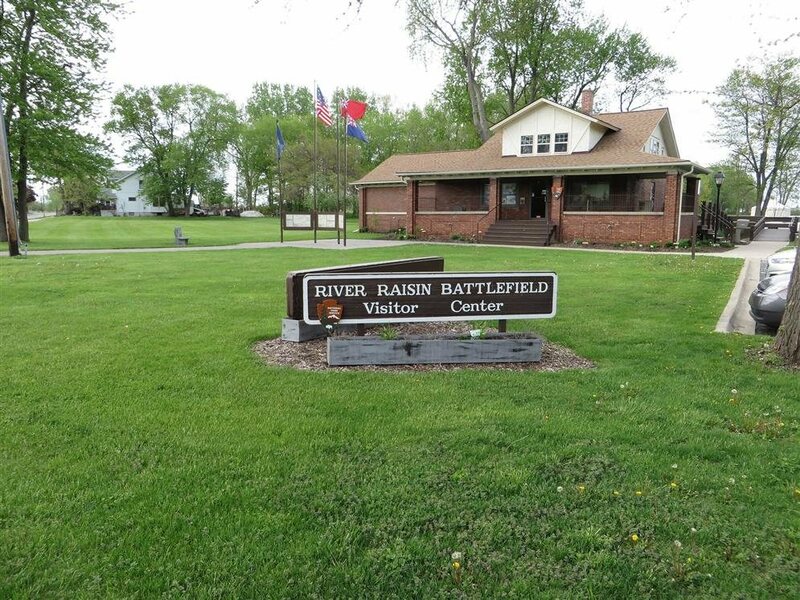 The site of the deadliest battle of the War of 1812, the River Raisin Battlefield saw an enormous amount of bloodshed, making the haunting rumors no surprise. Reports here include apparitions of American soldiers/militia, dressed in military attire, that have been spotted at night. Orbs have appeared in photos taken on the grounds, and voices have been captured via EVPs. Some have even claimed to hear cries of agony, as well as the sounds of war. 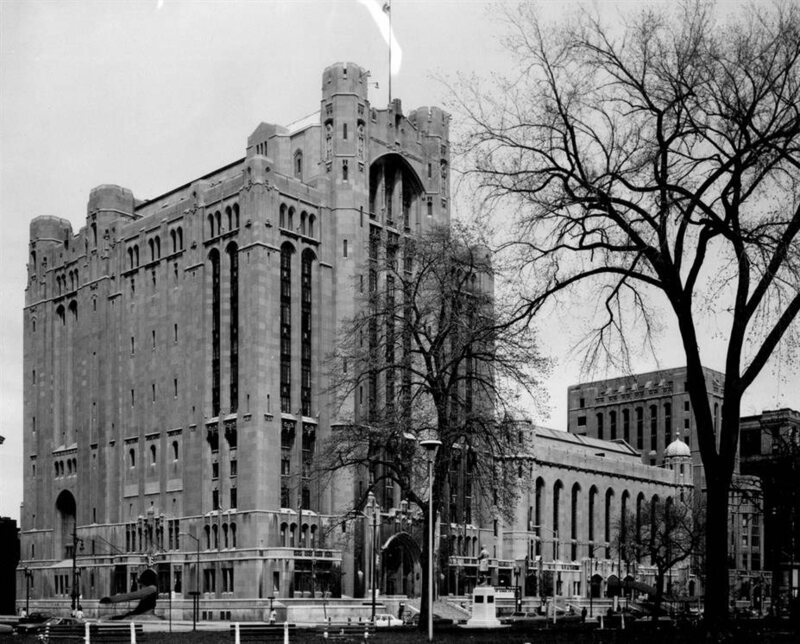 The Detroit Masonic Temple is the largest in the world and dates back to the 1920s. It was constructed with over 1,000 rooms and secret passageways and is believed to be one of Michigan's haunted destinations. George D. Mason is believed to be the ghost that lingers in the temple. He had committed suicide after his wife left him and he had gone bankrupt while funding the construction of the building. He was said to have jumped to his death from the temple's roof, and witnesses claim to see his apparition going up the stairs that lead to that area. 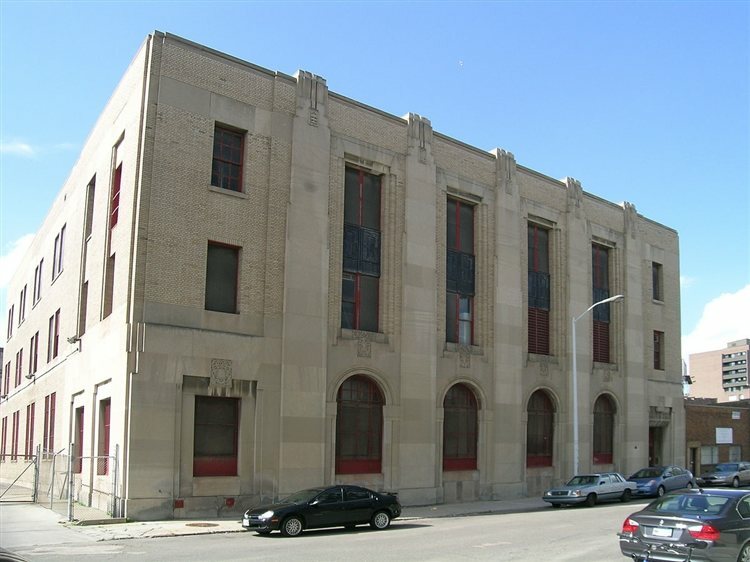 Located on Temple Street in the Cass Corridor of Detroit, this temple is surely hard to miss! This Catholic orphanage sits abandoned on Altamont Street in Marquette. Added to the National Register of Historic Places in October of 2015, the location has been known to have some paranormal activity within its walls. The orphanage first opened its doors in 1915, and raised orphans until 1967. It wasn't until 1982 that the large brick building was left to be abandoned, soon after becoming an alleged haunted location in Michigan. Witnesses have reported seeing glowing lights moving from floor to floor or window to window when no one was inside, and others have claimed to hear the sounds of children crying late at night. With reports of cruel and violent behavior from those that took care of the orphans here, it wouldn't be much of a surprise if their spirits were unable to pass on, still lingering the building over the many years. As of August, 2016, plans were made for the abandoned building, which will soon be transformed into an apartment complex. We wonder if the ghosts will still be around even after the renovations?! Listed on the National Register of Historic Places, this hotel is well known in Michigan, and even around the country for its haunted happenings. Located on Battle Alley, the Victorian-style inn also features an American restaurant, comedy shows and afternoon tea, oh, and some spirits, too - and we're not talking about wine! 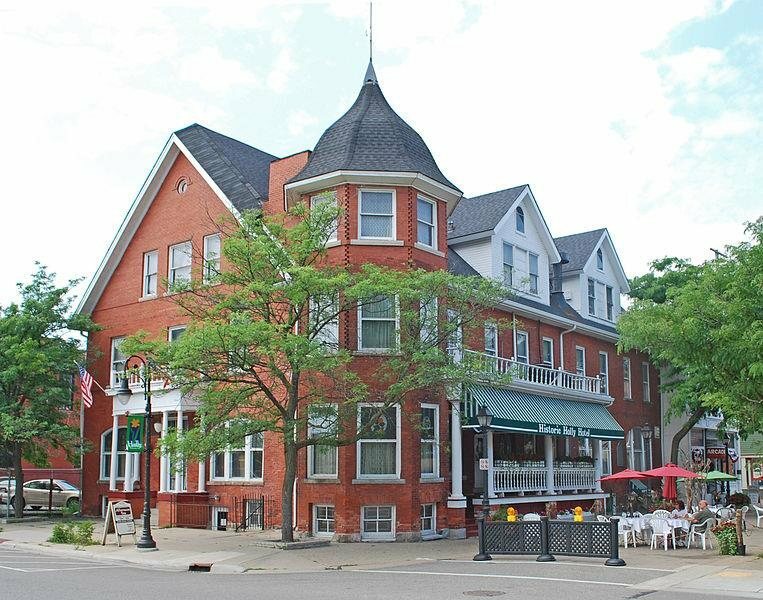 According to its website, the hotel has been referred to as the most haunted historic building in all of Michigan, with reports claimed by many, including both guests and employees. Two tragic fires took place here, the first in January of 1913 and another exactly 65 years later, on the exact day - January 19th! Eerie reports here include the phantom smell of cigar smoke when no one is around smoking, believed to be the ghost of Mr. Hirst, who has been spotted in a top hat and frock coat. Hirst was the first formal hotelier, when the hotel had the early name of the "Hirst Hotel." He is said to not like change or renovations, and cannot stand noise. Another ghost that calls the Holly Hotel home is that of Nora Kane, a small, beautiful lady who had a love of music and when her spirit is around, her sweet, flowery perfume can be smelled. Her ghost has also been spotted in the bar and back hallway, which was once the main entrance to the hotel. Among apparitions, objects have been found to be moved, disembodied voices have been heard and a dog's apparitions has been spotted, believed to be the Hirsts' dog, Leona. A mysterious Indian is also among the spirits reported here. Constructed in the 1880s, the historical hospital complex (which is now a shopping mall) is said to have some paranormal activity within its walls. 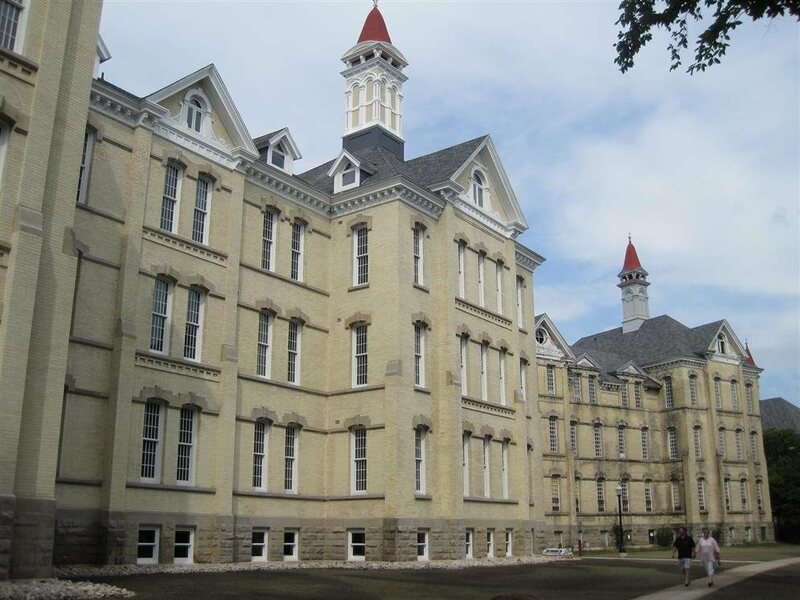 It was also known as the Northern Michigan Asylum and the Traverse City Regional Psychiatric Hospital and was listed on the National Register of Historic Places in 1978, and designated a Michigan State Historic Site in 1985. The psychiatric hospital operated for over 100 years and closed its doors in 1989. There are a number of buildings on site that completed the hospital, some of which were torn down during the development of the shopping mall. Unlike other asylums in its day, this one was said to be a place of healing, where no barbaric treatments took place. It has even been said that straitjackets were prohibited, and no shock therapy or inhumane treatments ever took place. Some believe that ghosts remain here because it was a place of happiness, not despair. Occurrences here include apparitions of both children and adults, and that of a Priest who was said to have committed suicide in a room where his spirit can be seen. There are also rumors involving a disfigured creature that appeared in the basements and tunnels of the hospital. There are also stories surrounding a tree on the grounds of the hospital, called the "Hippy Tree," which some say is a portal to Hell. Built in the late 1920s by Dorr Felt, the mansion was constructed as a summer home for his wife Agnes. In 1949, the location became the St. Augustine Catholic Seminary Preparatory School and it served as a chapel and housed the priests and students. The State of Michigan purchased the site in 1977 and converted the school into the Saugatuck Dunes Correctional Facility. 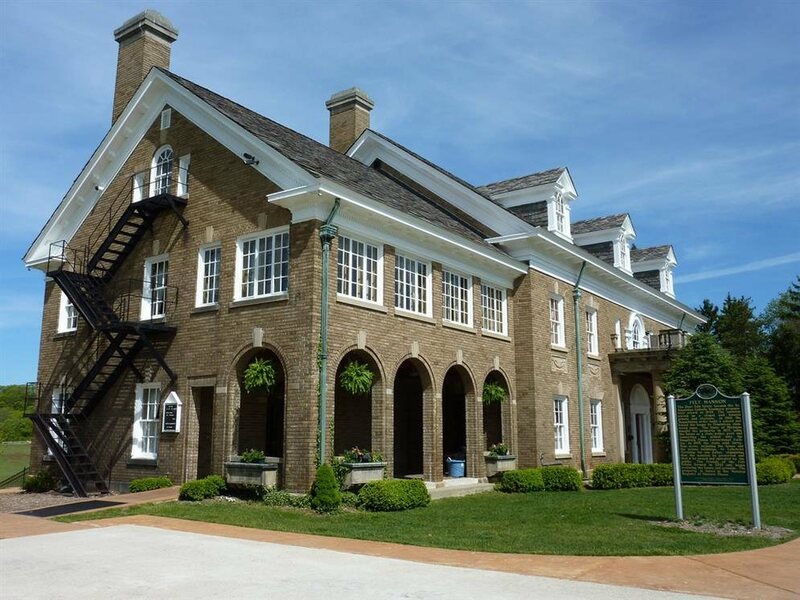 The state sold 44 acres of the Estate in 1995, including the prison building and the mansion, to Lake Township. In 2002, The Friends of the Felt Estate were formed and they began restoring the grounds and house to what it is today. Listed on the National Register of Historic Places, the mansion has quite a history, which may be a reason as to why many believed it is haunted. The site is said to have been where "melon heads" lived and there have been rumors of shadowy figures, doors that open and close on their own, and apparitions. This telephone company stands on the grounds of what was once a lavish mansion in downtown Grand Rapids. The building is said to be haunted by two ghosts, believed to be Warren and Virginia Randall, a couple who moved from Detroit into the Judd-White House. Warren was said to have a good job as a brakeman on the G.R. and Indiana Railroad, until a tragic incident occurred and he lost his leg. It was replaced with a wooden leg, and Warren became paranoid within his marriage, assuming his wife was having affairs with more desirable men. Rumors of a violent relationship between the two stirred up, and Virginia left him. Stories say that Warren talked Virginia into going on a horse and buggy ride with him one summer night in 1910, ending up at the Judd-White House, where one last fight took place and he supposedly took off his wooden leg and beat his ex-wife with it. He then sealed every opening in the room with towels, ripped a gas fixture from the wall and let the lethal fumes fill the room. He then slit his throat with a straight razor. Although the Judd-White house was removed, many believe that the spirits of Warren and Virginia remained, moving into the new building that stands today. Eerie prank phone calls have been reported from inside the building after hours, and the two ghosts have been to blame! Click here to read about more Haunted Places in Michigan! Disclaimer: MichiganHauntedHouses.com does not support or endorse trespassing to visit Real Haunted Places. Before you decide to visit a local real haunt, please make sure to acquire the appropriate permits and/or permissions, and be respectful of properties that are privately owned. A number of Haunt Explorers have been arrested, ticketed and reprimanded by authorities for trespassing, and we don't want that to happen to you! To avoid this, please be sure to contact the property owners before visiting a real haunt, and respect their hours of operation, local rules and regulations. Happy Haunting!